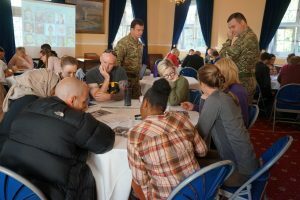 Major Lloyd Hankins, Unit Employment Support Officer for 162 Regiment, Royal Logistic Corps, helped organise the event, he explained: “It was great to be able to share the Army’s perspective of leadership with civilian managers and leaders. I am sure what they have learned today will come in useful in the future. The day was a mixture of theoretical discussions and practical activities which aimed to give the participants a better understanding of the military’s leadership principles. 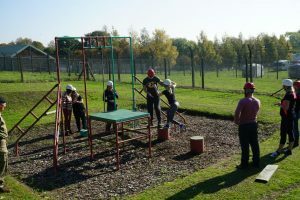 The challenging tasks and thought provoking discussions allowed the groups to work together and apply the principles of leadership that they had learnt about. Jade White, a Recruitment Team Leader at RecruitMe, took part in the exercise, she said: “I’ve recently stepped into a new role managing a small team of four Recruitment Consultants and I’d like to challenge my own leadership style and learn from others. 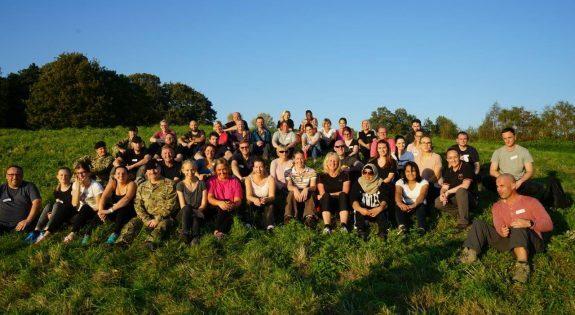 Victoria Pashby, a Specialist Physiotherapist at Sherwood Forest Hospitals NHS Trust, took part in the exercise, she said: “I’m looking to move towards a management post so I’m here to get the leadership experience. I’ve seen two people that I work with who were in the Armed Forces and are brilliant leaders so I hoped being involved with today would give me a unique insight into leadership that would help my career path. Chris Hastings, a Chief Technician at University Hospitals of Leicester NHS Trust, took part in the exercise, he added: “I’ve done leadership roles in the past but never had any formal training, so I thought this might be a good day to come and do some group exercises and see what works well and what doesn’t. Amanda Binns, a Practice Placement Facilitator at Northamptonshire Healthcare NHS Trust, took part in the exercise, she said: “I was offered the chance to take part by my manager, I thought it was a really good opportunity to come and find out about the Army’s style of leadership and how that may or may not differ from the NHS and I was sure that there would be skills that I would be able to take back into my workplace. 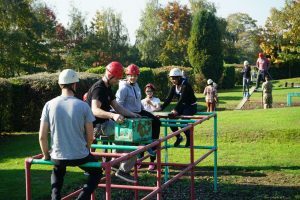 “I’ve done leadership roles in the past but never had any formal training, so I thought this might be a good day to come and do some group exercises and see what works well and what doesn’t."